This is to inform all the fresh students of the Federal University of Agriculture, Abeokuta (FUNAAB) that the management of the institution has postponed the resumption date for the commencement of academic activities for the 2018/2019 academic session. 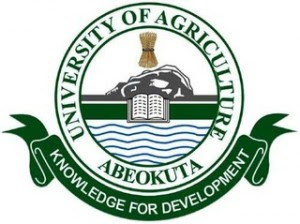 The Federal University of Agriculture, Abeokuta (FUNAAB) 2018/2019 resumption date that was earlier fixed for 15th April, 2019, has been postponed until further notice. A new date will be communicated as soon as it is decided by the management.